The Strike King Perfect Skirt with Magic Tails blooms wide for unbelievable action. The Magic tails flow with the colors of the bait and have terrific action eliminating a need for a trailer. 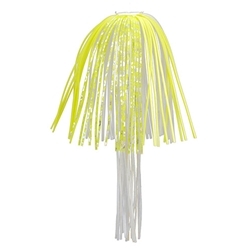 The Perfect Skirt is available in many different colors, designed to flow from top to bottom and to match most popular spinnerbait head colors.